It was a hot day in August, and as a new grad student I had been filling out forms and getting through orientation. You know--meeting people, "here is the copier," and all that. And then the administrative assistant handed me a small brown envelope and a card. "You have to sign here," she said. "Here's the key to your office." I knew in some abstract way that, as a TA, I would have an office and that I would be sharing it with a few other people. I signed, and she gave me the envelope. I shook out the contents. It was a standard brass key, just the same kind of standard institutional key that we all carry now and don't think about. But it was a key. And it was mine. I went out in the hall and just stood there for a while. I had keys, of course: apartment keys, car keys, mailroom keys. I had worked before, too: filing, cashiering, and so on. But I had never had a key in any job. I went down to my office, unlocked the door, and put the orientation papers down on one of the chipped Formica desks. This was my desk, and this was my key. For the next couple of days, as I was listening to various orientation speakers, I would pull out the key and look at it, and it gave me a little thrill or glow. This was the key that someone had given me because they expected me to work and to come and go without punching a time card, something I had done in a previous job. From this distance, it may seem a little silly or sentimental that I was so excited about this key. I've been issued a lot of them since then, and I never had that same feeling occur again. But giving me the key was making visible and concrete and visceral something more important than what all the speakers were doing. It was telling me I would have a place in the work world. It was telling me that I had a voice. A reporting question on "death of cursive"
I know I've talked about the cursive debate too much, but this time I'm intrigued with a difference in reporting. Writing in general, regardless of whether it's cursive, may also boost brain activity, according to a 2010 study finding that preschool students who wrote out letters rather than just viewing them showed changes in brain activity when they later viewed those letters. "Coupled with other work from our lab, we interpret this as the motor system augmenting visual processing," said study researcher Karin Harman James of Indiana University in a statement. "In the case of learning letters, printing helps children recognize letters." Anderson points critics to a recent study by the College Board, which found that SAT test essays written in cursive received a slightly higher score than those written in printed letters. But Polikoff and others aren't impressed. The College Board study "is not evidence of anything," he told the Los Angeles Times. "It doesn't indicate that the knowledge of cursive causes higher scores." "As we have done with the abacus and the slide rule, it is time to retire the teaching of cursive," Polikoff told The New York Times. "The writing is on the wall." Jacks and Asherson cited a study conducted by the College Board a year after implementing a handwritten portion to the SAT in which the student essay responses were coded across a variety of characteristics such as number of paragraphs, words and whether they were written in first person. The essays also were coded as print or cursive. The study — based on 6,498 randomly sampled tests administered between March 2005 and January 2006 — revealed that 15% of the essays were written in cursive and received a slightly higher sub-score than printed essays. "It's easier to read and easier to score," Asherson said. Still, the study is not enough to convince Morgan Polikoff, an assistant professor at USC Rossier School of Education. "The simple fact is that cursive is not included in the common core," he said, and added that though states are able to choose up to 15% of the standards, few decide to add cursive. "I think it's important to have nice handwriting, but the importance of having to learn two kinds of handwriting seems unnecessary given the vast method of communication is on a keyboard," Polikoff said. "One reason [to teach it] might be to be able to read historical documents and old journals that are written in cursive." 1. Do smarter students write in cursive because cursive helps their brain activity? 2. Or do SAT raters give them credit for being smarter because they see writing in cursive as a superior skill? 3. Is there a real correlation between cursive writing and better writing (better thoughts, better sentences, etc. ), or is it just an artifact of the rating process? 4. If cursive isn't part of the common core but is taught in good schools (as nicoleandmaggie indicated), how might this affect the professed objectivity of the rating process for other standardized tests, since cursive writing could equal coming from a better school? 5. Why would Yahoo! report Polikoff's view as a "stomp out cursive" message and WaPo report his longer statements, which sort of undercut the idea that cursive is useless? Flavia has a fascinating post up; it's by a woman frustrated because many of the women she saw at a recent Ivy League reunion had, in her words, "dropped out": they had children but didn't work (to which I silently amended, each time, "outside the home"). There was a TIME magazine article a few weeks ago about the "no alimony" thing. One of those interviewed said that the chances of a woman in her 50s with no work experience getting a job are slim to none. In this recession economy--and I'm sorry, but unless you're a one percenter, it's still a recession economy--they have no supports left. They live with their children, or with their families, or on disability (the new safety net), or in cars. It's horrifying. So yes, I don't know why that's not more of a concern to women who don't work outside the home. Why aren't women who drop out of the paid workforce being treated for depression, or at least urged to get counseling before they go? Just imagine the social and moral panic if a large number of upper middle-class men between the ages of 30 and 55 decided that they didn't want to work. Here's a useful tip: if you have a college education and unemployment seems like a good idea, seek treatment. I don't see the decision to "drop out of the paid workforce" as a mental health issue, or a moral one, or even a "you're depriving the world of your talents" one. There are thousands and thousands of under- and unemployed lawyers, college professors, and other people, well-educated and otherwise, who don't have jobs in this economy. If you're not working, you may be depriving yourself, but you're doing someone else a favor. Rather, I see their decisions as a personal or family issue governed by economics. Now, I may think it is foolish not to work because: divorce! poverty! old age!, but elite women don't have a duty to stay in the paid workforce today, any more than, 100 years ago when Teddy Roosevelt was urging "elite women" to have eight children and stay at home, they had a duty to do that, or 50 years ago, they had a duty to stay home. It's their choice. I do get the economic argument. I have seen/known examples of the horror stories: of women impoverished when their husbands hid assets and took off with the girlfriend, convincing sympathetic judges that minimal child support was all that was needed. But still, if they know that and it doesn't scare them, it's their choice. That, as I understand it, is the point of feminism: to give women choices, not to prescribe what they ought to do. I get that this may be "serving the patriarchy," but after pointing that out, we need to recognize that it's a choice. Some men do "drop out." Some women make more than their partners or support stay-at-home partners. I sympathize with a lot of what the poster has to say, but the two things feminism has taught me, as I have listened to various "you should do this" prescriptions over the years, are these: (1) learn as much as you can, but trust your own judgment; and (2) if people make a different judgment or decision from yours, that's all right, too. Not a real post: I just wanted to say hooray for striking down DOMA. Once in a while, the Supremes get it right! Mad Men's penultimate season is over, and except for their making a guest appearance on this blog as my dream writing group, I haven't been writing about them here. There's too much other good commentary on the web (Tom and Lorenzo, Alan Sepinwall) to read out there, and also a lot of clueless commentators (really? draft status as "A-1" instead of "1-A"? Didn't you watch the series at all? It's a draft status, not a steak sauce.). There was a lot to like this season (Kenny tap-dancing! A merger caper episode!) and a lot that was intended to, and did, make us cringe. 1. Set design for the win: As Pete and his brother sit contemplating their mother's death when she falls overboard on the SS Sunshine, all that's between them is a desk. And a model ship. And assorted other nautical knickknacks that signify old money but become humorously ironic given the circumstances. 2. Tom and Lorenzo probably have this one already, but when Pete and Bob are on the elevator--you know, the "Not great, Bob!". elevator--Bob is holding what's probably Pete's garment bag. It's in a Black Watch plaid that Pete wears often, including in his scarves, and Bob doesn't usually do plaid. He's holding Pete's future, is he? Yes. Yes, he is. 3. When Pete gets in the car at Chevy, the whole thing about going backward if he doesn't know how to drive stick didn't ring true to me. First, if he didn't engage the clutch, which he wouldn't have because he doesn't know how to drive a standard transmission car, the gear would just make a grinding sound and not go anywhere. It takes practice to get the gas/clutch foot action right. If he did engage the clutch but didn't give it enough gas, he'd get the same sound, or the car would stall. The Chevy guys would yell the traditional "Hey! Grind me another pound of those gears" before looking disgusted by his ineptitude. Also, first gear is easy to find, as Bob tells him. Reverse is always trickier. On every four- or five-on-the-floor standard car I've driven, it's always a little outside the standard H-pattern of the gears (sort of like a subscript of the H) and is harder to engage than the rest: you have to push backwards a little harder. That's to keep nimrods like Pete from engaging it, I suppose. That Pete could find it, get the gas/clutch ratio right, and go backwards without stalling is kind of miraculous, though it made for great unspoken theater. "How are you at driving a stick shift, Pete?" "Not great, Bob." 4. Lots of commentary out there has focused on the poster (double Dons) and on all the doubling: Bob Benson/Don Draper, Sally and Peggy as "daughters" whom he disappoints, Ted Chaough as "good Don" to bad Don, Jim Cutler/Roger Sterling (and what a bonus both of them are to the show). One of the best may have been the TV in the bar tuned to Bewitched just before Don punches the preacher. It was focused on Larry Tate, an adman whose sole character trait was being pathologically fearful about what clients would think. Our Don? Not so much. But what about Duck Phillips as another double? Don brought him in to Sterling Cooper and then forced him out. The two shared Peggy, Don platonically and Duck physically, and both have tried to poach her on occasion, Don for SCDP and Duck for his own agency after he'd been dismissed for drinking. Duck roams the SC halls and has a fight with Don, which is just about equally matched--two men of about the same age, war vets, alcoholics, with families that they've deserted. Don brings a dog home, and Duck leaves one behind. Both have a scatalogical reference moment, Duck when he goes into Roger's office and Don when Roger yells at him after the meeting. But Duck is a survivor, a redemption story. Even after he drunkenly tries to get Peggy back to start his own agency and seems absolutely out for the count, Duck resurfaces as a reasonably successful headhunter. He calls Pete and tries to get him to look for another position, and he checks the references of Bob Benson. He's brought in --going up--on the elevators with the new candidate as Don is going down. 5. There's a trend in television now that I think of as Misery Theater: how much can you punish or torture the protagonist for his or her sins and still keep the audience's attention? For you Game of Thrones fans, let's call it the Theon Grayjoy rule, or maybe we should just call it Degradation Limbo: "how low can you go?" I know that Don has to be punished mightily for cheating, lying, drinking, gluttony, avarice, lust, and whatever else is going on this season, else why would he have been reading *dun-dun DUN! * Dante in the first episode? But come on, Matt Weiner. It's getting to be too much. We want to see more pitches, maybe, or some more mergers, or maybe just to see Don get a clue or Peggy and Joan catch a break. We don't want this to turn into Breaking Don or Game of Accounts. Season 4 was grim and had Don hitting bottom and being redeemed, or so we thought. Then--fooled ya!--he's back hitting bottom again, doing the same things that destroyed him the first time. I don't think we can take another season of this kind of destruction without relief. 6. Speaking of injustice, in what world is it right that Jon Hamm has never won an Emmy for this role? He is brilliant in this series. Slate: "In the Ivory Tower, Men Only"
In Slate, Mary Ann Mason suggests that for female academics, having children is a "career killer." She's a Dean and has done the research and all that, so I'm not going to argue with her, especially since so much of what she says is what we all recognize as true (and now have stats to back it up). "In our study of University of California doctoral students, 70 percent of women and more than one-half of the men considered faculty careers at research universities not friendly to family life." I wonder if this isn't more true at (1) top 10 universities (2) in the sciences than at other types of universities. It's not that it isn't true, but is it equally true for the humanities? "There is some good news for women. The second tier is not a complete career graveyard. We have found that a good proportion of those toiling as adjuncts and part-time lecturers do eventually get tenure track jobs." That is good news, and I'm glad that Mason's research supports this. "Among tenured faculty, 70 percent of men are married with children compared with 44 percent of women." "Women who achieve tenure are more likely than men to fall into the midcareer slump. They take longer, sometimes much longer, to be promoted to full professor, the top of the academic ranks. For the first time in the career march from graduate school, children do not make a clear difference in their career slowdown." You know what does make a difference? Being asked to do just one more service thing, and then one more, and then one more and not saying no. Learning to say no is the key, I think, especially to things that are "collegial" but will go nowhere in your tenure and promotion folder. "Men and women retire at about the same age, but women have less income to rely upon in retirement; their salaries at retirement are, on average, 29 percent lower." Not a happy statistic, but good to know. "It is important for women to become more assertive at faculty meetings, to negotiate starting salary, to argue for justice in the promotion process, as Sheryl Sandberg argues in Lean In." There's quite a bit of chicken-and-egg reasoning here. "Become more assertive at faculty meetings" as an adjunct (says I, who was one for a long time), and you might find yourself unemployed, although to be fair, no place I've ever worked operated in this way. Become more assertive as t-t assistant or associate, and you'll get the "Great idea! Why don't you study this and write a report on it" time-sucking committee laid at your door. Being assertive is not an unalloyed good. What battles do you want to fight, and are they worth it if you are an untenured assistant or not-yet-full associate? You need to decide. "For instance, at Berkeley, after enacting several new policies to benefit parents, including paid teaching leaves for fathers, job satisfaction scored much higher among parents, and more babies are being born to assistant professors." Again, this is good news, because if this more family-friendly attitude is going to spread, it has to start from places like that so that other institutions can see that it works. This issue of women in academe is different from Lauren Sandler's "great writers have only one child" essay on the Atlantic's site, which I took to be one of its ongoing attempts to stir up Teh Wimmenz (hello, Caitlin Flanagan!) and looked at primarily for Jane Smiley's response. Does having only one child make a difference? Who knows? What are the other common variables? Did the great ones all eat granola for breakfast? The two main things seem to be (1) good child care and (2) having a personality best described as "driven," which really means disciplined and focused on writing. It's a little disheartening, though, to see how fast the commenters went to "X is a bad mother!" "No, she isn't!" to prove their points. To paraphrase Raymond Chandler, I sometimes think that these sites are saying to us, "let's you and her fight" rather than something substantive by posting these things. Mary Ann Mason's post wasn't one of those but an honest attempt to look at a problem. If you don’t have an in-person writing group, your dreams will apparently supply one. I was working for a firm that turned out to be an academic version of Sterling Cooper Draper Price/Cutler Gleason and Chaough from Mad Men. Someone stopped by my office to tell me that the read-through was today. "Read-through?" Yes, employees who requested it, and apparently I had, could get the firm together to discuss what they were working on. The meetings were only an hour, but they'd all give feedback. We all gathered in a room--fittingly, Bert Cooper's office*--and sat in a circle, some on the floor and some in chairs, crowded together. An anonymous junior copywriter began to read it, with feeling and slowly. Mercifully, Roger Sterling wasn't there, but Peggy and Ted Chaough were giving it their most earnest attention. Don was, as usual, AWOL. As he read, people began to wonder aloud "why are you talking about this now? Where is this leading?" I lunged over to Cooper's overflowing desk, grabbed a steno pad and a ballpoint pen that was running out of ink, and started taking notes on their reactions. "This reads pretty well, but I still don't know why you're telling us this." Then another reader took over and said "This has some rough language." They all nodded, and she began to read and even to sing parts of it. She read the parts where it said "insert reference here" and "talk about that other instance of the same idea." Loudly. With feeling. I tried to say things like "I didn't know you'd read this particular draft" and "It's not quite ready," but no one paid any attention. The hour drew to a close, and I had not yet sunk through the floor. I had pages of scratchy handwritten notes and reactions written down in the steno pad. Gene Siskel, who apparently worked at SCDP/CGC, stood up. "I have to go. I think this has promise, but you should get to the point sooner. Right now I'd give it a thumbs-sideways." Peggy smiled, and Ted Chaough said, "Don't worry. At my first meeting, I thought I would have to quit and become a professional babysitter. It's pretty good." Bert Cooper said, "That's all right, dear." *For those who don't watch: Bert Cooper has no office. Once I got to an archive, I created a new Word document for each collection I looked at. As I read, I transcribed the quotes I thought would be useful for me, making sure to note in bold when a volume changed over to the next volume. As I transcribed, if I came across a quote that immediately gave me something to say, I’d make a note to myself using all caps so that I could spot it easily when skimming a document. I should say that sometimes these notes were useful, and sometimes they were completely useless; at various points during the write-up stage I found myself vehemently crossing out my capitalized notes. The author, raherrmann, then used to put these word documents into 3 x 5" formats and print them onto index cards, though how this happens exactly--does Avery make sheets of index cards? do you stack them up like photo paper?--isn't specified. The end result is a stack of index cards that you can shuffle around, with page numbers to help you put the whole thing back together. Doesn't this sound orderly? I've tried with index cards a few times just to see if it will help my writing process, but I am too impatient to type everything out in this way, although like raherrmann, I take copious notes and transcribe a lot at archives. I always go back to the tried and true. more Word documents open on the computer. Each book has a special place, too, depending on how soon it's being used: side bookcase, bookcase above the desk, space ahead of me on the desk between keyboard and monitor, space to the left of me on the desk. It looks as though I've built myself a book fort and have drawn up the ladder behind me. Evernote would be smarter, probably, but I can't get the hang of it. If it's in a file, even if it's an Evernote file, it's invisible to me. It doesn't help that I've never gotten it to read handwriting, as it's supposed to do, and that sometimes the things I think I've captured on the web are blank. I know I'm doing something wrong, but it takes too much time to figure out. Scrivener has helped immensely with making the whole manuscript in chapters visible at once, but if I put research in the research folders, I still forget about it. The research journal has helped, too, since I can search for terms and see what I thought about something. 750words.com lets you download all your daily writing as a text file, so that's searchable, too. But wouldn't it be great to have all those thoughts in index cards ready to be put together? At The Chronicle: Don't like teaching? It's okay to fake it. The advice that "Sidney Perth" gives is pretty straightforward: if you don't like teaching, fake it and don't worry about it. Liking teaching isn't the same as being a good teacher, he says. Good teaching behaviors make a good teacher. You don't have to like it; you just have to care about it. Part of this rings true. I can write a good administrative report, but that doesn't mean I like to do it. I like to teach. I like the process of discovery, both mine and the students', and I like the energy of a good class discussion. There's an excitement to that process, which is probably why the MOOC idea is so threatening to me. Not every class is going to be great, not every student is going to appreciate what you do, but enough do to make the whole process worthwhile. But why would you spend your life doing something that you really don't like? This is the part of the article that fascinates me. It can't be the low pay, or the long hours, or the Hunger Games-type competition for positions, or the sitting-over-a-dunk-tank feeling you get every time some fool on the internet or in the legislature decides that the humanities are the problem with the good old US of A. In fact, I'd disagree with one part of his premise, which is that not liking teaching is like not liking puppies. If you profess too great a love for teaching, especially if you're female, that can be scanned in some people's minds as "isn't serious about research." Is this article really a humble-brag about loving research instead of teaching? I don't think it is, because he doesn't mention research. Do you like to teach? Would you do it even if you didn't like it? This Inside Higher Ed article about MOOC partnerships has me confused. Instead of offering free education for the masses, and definitely not the classes, Coursera has another business model in mind, and it's coming soon to a state university near you. But some universities will try Coursera to see how well they can use its software to offer traditional for-credit online classes to dozens of registered students at once. If universities like the platform, long-time industry players like Desire2Learn and Blackboard could find themselves with new competition. If a little competition will improve Blackboard, I'm all for it. I think, though, that what they're talking about is selling content modules of the sort that a lot of textbook providers already have available for Blackboard. to explain MOOCs to wary faculty members. 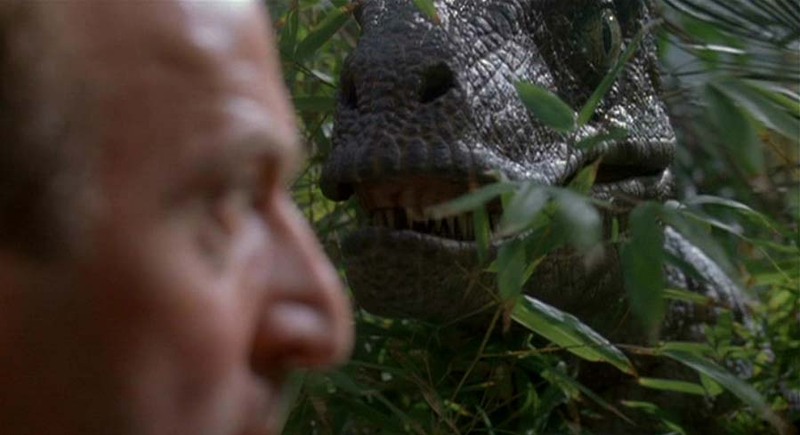 Clever girl, Daphne Koller. Since faculty have been making a fuss, the message has changed from "MOOCs are shiny and good for us all" to "Don't fear the MOOC! It's just a talking textbook." SUNY's associate provost, Carey Hatch, said the system also plans to offer incentives to campuses to develop and consume online courses that meet general education requirements. Some courses could be “guided MOOCs” where a SUNY instructor helps SUNY students work their way through a course that was created by another institution. See that "develop and consume"? How much will state universities be allowed to develop, and how much will they have to pay to "consume" content that they probably already have in their "online classes that meet" gen ed requirements? “We hope to reach more students with the existing faculty that we have,” Hatch said. "Reach more students with the existing faculty that we have"--I'm confused again. Does mean that state schools' "existing faculty" will get to grade and tutor more students than ever before but still will not be allowed to run their own courses? To partner with so many institutions, however, Coursera will sidestep a contractual obligation to primarily offer courses from members of the Association of American Universities or “top five” universities in countries outside of North America. It will do so by creating a new section of its website to house material from the less-than-elite state universities. This different section will offer MOOCs but will be branded in a different way. still iconic as a brand. They really aren't kidding about perpetuating class structures with this model. 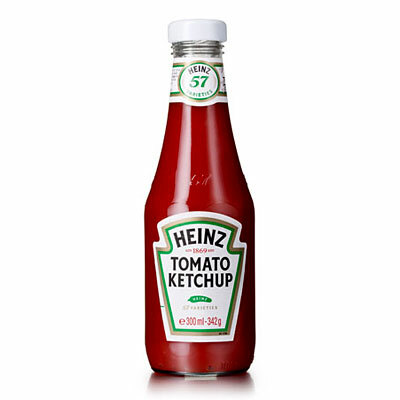 You can buy Heinz, or you can buy store brand ketchup, but it'll be absolutely clear on everyone's transcript. You'll be shocked to learn, in a follow-up article at IHE, that SUNY faculty weren't told about this brave new plan for their futures until after the administrators had made it a done deal.